Did you know that 81% of smartphone users access the internet on their mobile devices? It’s true, and it’s just one of the many reasons businesses are spending more and more of their marketing budgets on mobile. And why wouldn’t they? After all, the goal of a marketing campaign is to convert prospects into customers. And since your prospects spend a lot of time on their smartphones, your business needs be there to greet them, right? The good news is that getting your business in front of people on their smartphones isn’t difficult. All it requires is an understanding of the mobile landscape, a small budget, and a little elbow grease. 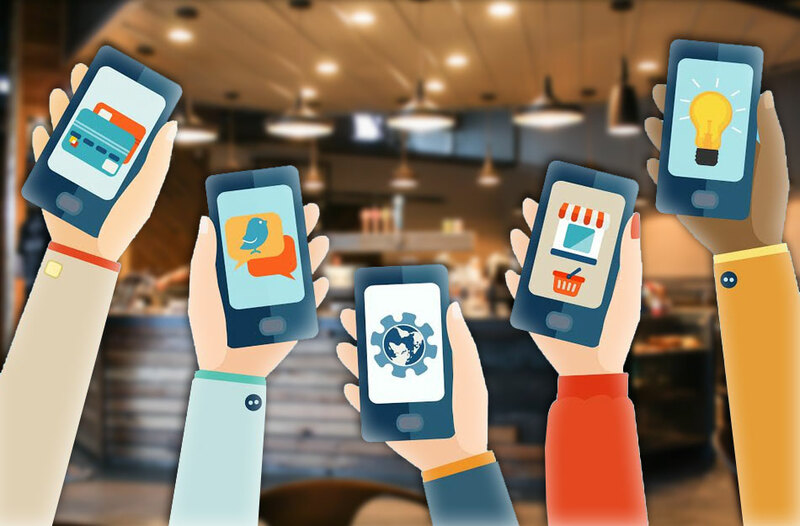 So, with all that in mind, let’s take a look at the tools that you’ll need to set up, launch and manage a mobile marketing campaign. There’s no point in running a mobile marketing campaign if your website isn’t mobile responsive. What does that mean? It simply means that your website changes size based on the size of the screen. That way, when someone views your website on a laptop, it adapts to the size of the laptop screen, but if they view it on a smartphone, it adapts to the size of the smartphone screen. The odds are pretty good that your website is already mobile responsive, but if you’re not sure, you can visit Google’s mobile responsive test page and double check it. Just plug in your URL and Google will run a short test to be sure everything looks great on a smartphone. Want to read more on that topic? Check out Shelly Kramer’s post: Five Tips to Creating a Mobile Responsive Website on the V3B blog. If you don’t have a mobile responsive site, put that on your short list of things to do this year, because it’s really not an option any longer to make content easily viewable across devices—it’s a business necessity. Now that you have a mobile website up-and-running, it’s time to move on to the next tool in the mobile toolbox—mobile paid search. If you’ve ever run a paid search campaign on Google or Bing, you know that it works on a cost-per-click basis. That means you can run small text ads at the top of the organic search results and only pay for the ads that people click. If you want to run Google or Bing ads for mobile devices, just navigate through their dashboards and include mobile as part of your delivery strategy. It’s that simple. One of the things that make mobile search ads so terrific are the targeting capabilities. Are you trying to target people who want to buy women’s shoes within a 5-mile radius of your store? No problem. What about people who want to buy women’s running shoes within a 5-mile radius? Again, no problem. You can even target people who only want to buy red women’s running shoes who are within a 5-mile radius of your store. The options are nearly endless. Ready to take a deep dive into mobile search? A good first step is this post on the Search Engine Land blog, which does a great job of explaining the nuances—What is SEM and Paid Search Marketing? Once you have a better understanding of what these things are, as well as an idea of the kind of budget you can (and should) allocate to SEM/paid search, you can either choose to go the DIY route or hire a consultant to help. When you think of social media, you probably think of it as an organic (free) tool that can be used to connect with prospects and customers. And you’re right—in most cases, using social media can be free. But more and more businesses are starting to use paid social media ads to reach out to people who might be interested in learning more about their products and services. The most familiar paid social media platform is Facebook. They’ve started dropping native ads (also known as sponsored posts) into the Facebook stream that are designed to encourage people to click through to the ads. Other good paid social media platforms include Twitter, LinkedIn, Instagram and Snapchat. Each platform has its own mobile advertising tools and it’s important to first figure out where your audience is, or is likely to be, and start there. Ready to explore this further? The folks at Hootsuite developed a comprehensive guide that might be a great resource for you on this front: Social Media Advertising—The Complete Guide. Have you ever seen the little ads that run on some mobile websites that, when clicked, can take you to another website? Those are called mobile display ads, otherwise known as mobile banner ads, and they’re surprisingly effective. It’s probably been a while since you’ve clicked on a mobile banner ad, but the click through rate on a mobile display ad can be about 5 times greater than the click through rate on a Facebook ad, and can be about 10 times greater than the click through rate on a traditional desktop banner ad. Given that, you should definitely give mobile display a try. If you’re interested in using mobile display to connect with people on their smartphones or tablets, ask your marketing consultant or advertising agency to help. You can also use this resource developed by Ad Networks, Top Mobile Ad Networks 2016, which is a review site that allows you to compare the best networks by features and benefits. Once you dive a bit deeper, chances are good you’ll find that mobile display can be a very effective way to build awareness for your business. If you really want to dive into mobile marketing, there are two additional tools you should take a look at. The first is SMS, which uses text messages to connect prospects to your business. SMS is an old standby in mobile marketing—it’s been around forever, and there’s a reason: because it works. So next time you’re looking at all the bright shiny new tools in the mobile marketing toolbox, be sure to investigate SMS. It’s can be a very effective tool. And finally … mobile apps. You might be asking why I didn’t start my blog post by talking about mobile apps. Here’s why—you probably don’t need one. Yup. You heard right. You probably don’t need an app. Why? Because apps are great for customer retention, not necessarily for customer acquisition. In other words, they’re great at keeping the customers you already have engaged with your brand (just ask Dominos or Delta or Home Depot), but they’re not as good at getting new customers to engage with your brand. Just think about it – when was the last time you downloaded an app from a business you had never heard of before? So your best strategy for a mobile app is to wait until you have a well-established brand with a deep pool of existing customers. If that’s already the case, fire away and give mobile apps a shot. But if it’s not already the case, wait until your business is larger and more well established. There’s no point in reading about mobile marketing unless you’re going to put it into action. If you start at the top of this blog post and work your way down, you’ll see that it’s been organized so that you can implement the tools in a step-by-step fashion. Think of it as a roadmap—one that’s designed to get you moving down the path of mobile marketing quickly and easily. Good luck! Be sure to keep us posted on your progress, and if you have any questions, either reach out by way of the comments section here, or send us your question via by sending a message to the @SAPStore and @AskJamieTurner on Twitter. This article has been brought to you in part by SAP Digital CRM. Visit the SAP Store to find out how SAP Digital CRM can help you supercharge your marketing and sell more, and register for the free 30-day trial. This post was first published on SAP Digital. 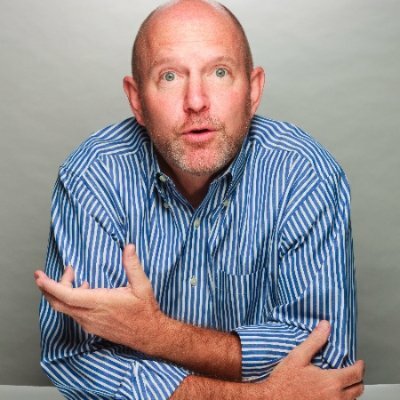 About the Author: Jamie Turner is an internationally recognized author, speaker and the CEO of the 60 Second Marketer, a marketing blog read by hundreds of thousands of people around the globe.